My name is Tegan, I am 14 years old I enjoy everything of the performing arts. I love to Sing, Dance & Act , Musical Theatre is a great way of understanding stage and theatre work and I love preforming on stage, I also love being on set and learning to do role play and commercials, learning new technics ,and working with new people who I can learn from and build confidence myself, I have just finished preforming in Fame The Musical in Windsor (April 2017)I was one of the chorus dancers and had some singing and acting parts , I have been attending Italia Conti Associates since the age of 3 every Saturday all day , My classes range from , Acting, Singing, Drama, Streetdance, Tap , Ballet. 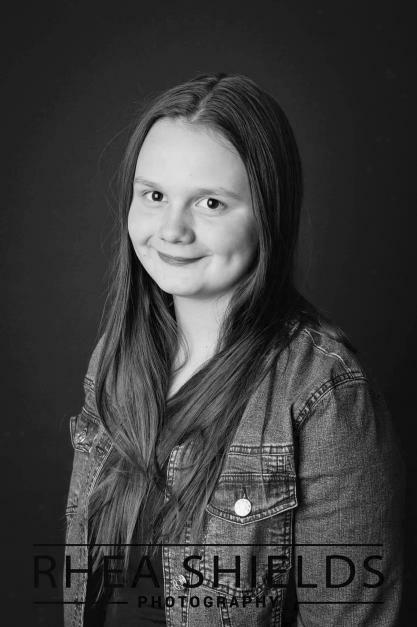 My dream role would be , on stage muscial theatre and doing commercials and preforming on stage and just enjoy what I love doing , I am currently studying Grade 5 In Tap & Ballet , I'm willing to also learn something new and also give me the ability and more to work towards another adventure . My present role will be in Peter Pan @ Windsor Theatre for a week in October 2017.